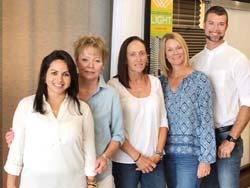 At Perfect Fit Window Fashions here in Estero, we frequently tell our customers about the benefits of color in a home. It can set a tone, enhance a mood, and add personality to any room. A few months ago, one of our blog posts introduced you to Pantone Colors of the Year and how they inspired people over the past several years. Recently, the Pantone Color Institute announced its choice for 2019: PANTONE 16-1546, Living Coral. To understand how this color might work in your home, speak with one of our trained consultants today. For the past 20 years, the Pantone Color of the Year has inspired manufacturers in industries such as home furnishings, window coverings, industrial design, fashion, and more. Through things like trend forecasts and color psychology, the Pantone Color Institute helps global brands design products that call on the power and emotion of color. “Color is an equalizing lens through which we experience our natural and digital realities,” noted Leatrice Eiseman, executive director of the Pantone Color Institute. The 2019 Color of the Year, Living Coral introduces warmth and peacefulness to provide relief in a continually shifting environment. It soothes us and encourages optimism and playful expression. 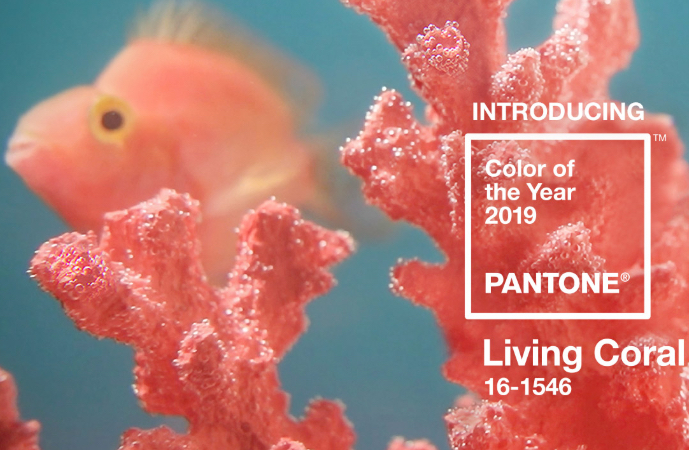 As Pantone notes, Living Coral “is evocative of how coral reefs provide shelter to a diverse kaleidoscope of color.” It can be complemented by other sea-inspired colors, such as aqua or seafoam. In your home, consider using Living Coral on your walls, window coverings, or even kitchen gadgets and appliances to create a tranquil retreat and more. To round out the look, add accent pieces such as decorative throw pillows or artwork, vases, or table lamps in one of the complementary colors to bring out a pop. Visit our showroom in Estero, FL, serving the areas of Estero, Bonita Springs, Naples and Ft. Myers. Contact us today for a design consultation – we’re looking forward to serving you! After-hours appointments available on request. 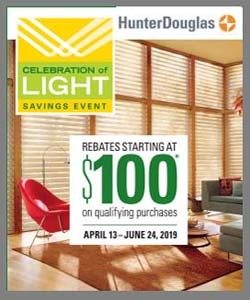 Get new Hunter Douglas window coverings at no risk. Don’t wait, contact us to schedule a complimentary in-home design consultation today! Interior design is all about how you experience your space. At Perfect Fit Window Fashions & Design our interior designers can help to bring the vision you have for your home, to life. Perfect Fit Window Fashions offers a large selection of custom Hunter Douglas window treatments, including sheer shades and shadings, honeycomb shades, plantation shutters, horizontal wood and faux wood blinds, vertical blinds, Roman shades, roller shades, and woven wood shades. We proudly serve Estero, Bonita Springs, Naples, Marco Island, Fort Myers and surrounding areas. Please contact us for a design consultation and let us know how we can help you.